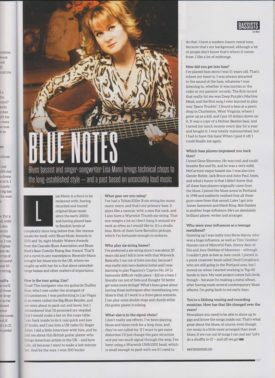 Bass Guitar Magazine editor and renowned music author Joel McIver interviewed Lisa Mann for the Nov 2018 issue, featuring Queen’s John Deacon on the cover. Joel was following up on Lisa’s summer tour of the UK with guitar guru Dudley Ross. They talked about everything from gear to career, blues and heavy metal and everything in between. Lisa Mann has joined the Bartolini Pickups family of endorsing artists! 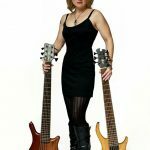 Since embarking on a music career many moons ago, Lisa has always played instruments with Bartolini pickups. These pickups, when combined with a fine instrument, provide a round, warm tone as well as a mid-range punch needed to cut through a mix. Blues Blast Magazine has announced their nominees for the 2017 Blues Blast Music Awards, and Lisa Mann is among them! Her nomination in the Female Blues Artist category places her with some fine company, including the other category nominees Annika Chambers, Trudy Lynn, Deb Ryder, Thornetta Davis and Beth Hart. This is Lisa’s second Blues Blast Award nomination, as she was nominated for (and received) the Sean Costello Rising Star Award in 2014. 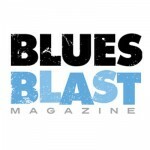 Fan voting to determine the winners begins July 1, 2017 and continues until August 15, 2017 at www.bluesblastmagazine.com. Voting is free and open to anyone who is a Blues Blast Magazine subscriber. Blues Blast Magazine subscriptions are always FREE and you are automatically signed up as part of the voting process on the website. 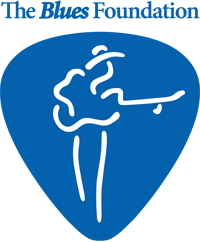 You’ll receive news and interviews from the BEST in blues, right in your inbox! If you’re not happy (but we know you will be) just unsubscribe. Congratulations are in order to ALL the nominees! The Terry Hanck Band – From Roadhouse To Your House – Live!